The new OnePlus 3 has officially been released and hailed in the market as one of the most modern smartphones. There is a lot more that the Android users would love knowing, and we are giving a short detail of its specifications and features. The smartphones industry is changing rapidly and we are seeing positive swaps every day. OnePlus phones are very advanced and cater the demands of the users. The brand has received immense popularity in a very short period of time and this is because it takes the smartphones to the level where the users enjoy the brand and all the products. The important and salient features are listed below in OnePlus 3. The users might be feeling that the new OnePlus 3 resembles HTC ONE is design, shape, and size. If we compare the design of both, from the camera sensor to antenna size, both are very much similar and have similarities. This new model of OnePlus is made of aluminum, so it gives a slim and sleek look that seems very elegant and attractive for the users as compared to its older models. The camera of the new OnePlus 3 gives photos of 16 megapixels from the rear camera and is comparatively better than the camera of Galaxy S7 Edge. It should be remembered that in many phones, the pixels don’t give better pictures so taking photos with it would let the users be sure about its camera. The users will get 8-megapixel front cameras in OnePlus 3 that’s relatively better than other competitors in the market. The OnePlus 3 runs Android 6.1. OnePlus has always done exquisite additions when it comes to introducing software, and it makes remarkable changes in the Android. It keeps its software straightforward and fresh that any user looks forward to getting immediately. The battery of OnePlus 3 offers more than one and half days. The phone gives HD screen, and if we see battery life regarding the visuals and video quality, it’s really great to other smartphones of this range and category. The battery is a bit smaller in size, but it proffers perfect timing. The brands that have started working on their battery lives will be popular in the future as this is one of the most important attributes a user looks to get on the phone he/she purchases. New OnePlus 3 is available in markets on $309, and this price is very affordable if we see the specs and features of the phone. Other competitors have raised their prices after they got popularity but this phone is relatively cheaper and very affordable regarding price. It’s a nice combination of many perfect features at the very low price. We have seen that new OnePlus 3 has been introduced in the market, and it comes with many great attributes. 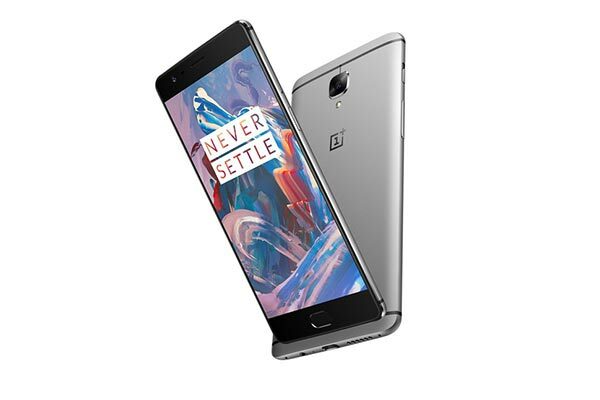 The price, specs, and features of OnePlus 3 are more than awesome that attract any user throughout the world to get their hands on purchasing this phone. The users can get more experience when they use it; we have just presented a fair analysis of what we have found in it. Bella works as a senior editor and writer at TheOneSpy. She is an ardent reader and a professional writer. She spends most of her time browsing through technology related subjects such as operation of various devices and use of mobile applications. Her writing niche includes posts on fix-ups of common problems related to and gadgets and the use of cell phone monitoring application in business, social and personal circles.